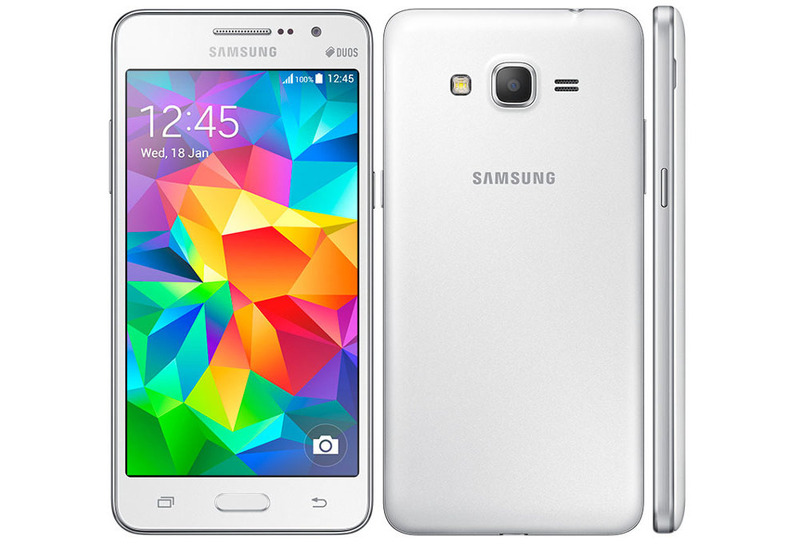 Galaxy Core Prime, Samsung’s new smartphone launched at company’s India e-store to the ‘in stock’. The gadget is priced at Rs. 9,700, the gadget was listed earlier this month on company store with no words on availability. The Samsung Galaxy Core Prime is recently also available for purchase on various e-commerce sites at Rs.9275 only. The ‘Android 4.4 KitKat’ based smartphone is having a feature of dual-SIM support, 4.5 inch WVGA (480 x 800 pixels) PLS (plane to line switching) TFT-display and 1.2 GHz quad core processor coupled with the 1 GB of RAM. It comes with the inbuilt storage of 8 GB and which is expandable upto 64 GB via microSD card. The Galaxy Core Prime also said to include a 5 megapixel auto-focus rear camera and a 2 megapixel front-facing camera. Device is packed with a 2000 mAh battery on-board. The connectivity options on smartphone include Wi-Fi Hotspot, Wi-Fi b/g/n, Wi-Fi Direct, Bluetooth 4.0, GPS, & 3G.The Galaxy Core Prime includes an accelerometer as well as the proximity sensor, apart from the measuring (130.8 x 67.9 x 8.8 mm) & sporting a matte body finish with the metal sides. It is currently listed in 3 colour variants – White, Charcoal Grey and Silver. Last month, Samsung’s another dual-SIM model Galaxy A5 was listed on the company’s china website which came with the dual Nano SIM support and packs the same specifications as single SIM Galaxy A5. The Galaxy Core Prime is expected to be priced at Rs. 5,700 (as based on the report that quoting a Samsung executive who also mentioned the launch date, January 18), the Samsung Z1 smartphone was packed with a 4 inch WVGA (480 x 800 pixels) display, 1.2 GHz dual-core processor coupled with the 1 GB of RAM, a 3 megapixel rear camera, a 0.3 megapixel front-facing camera with the f/2.4 aperture, 4 GB of in-built storage expandable via micro-SD card (up to 32 GB) and a 1500 mAh battery. Connectivity features include Wi-Fi, 3G, & Bluetooth-4.0.